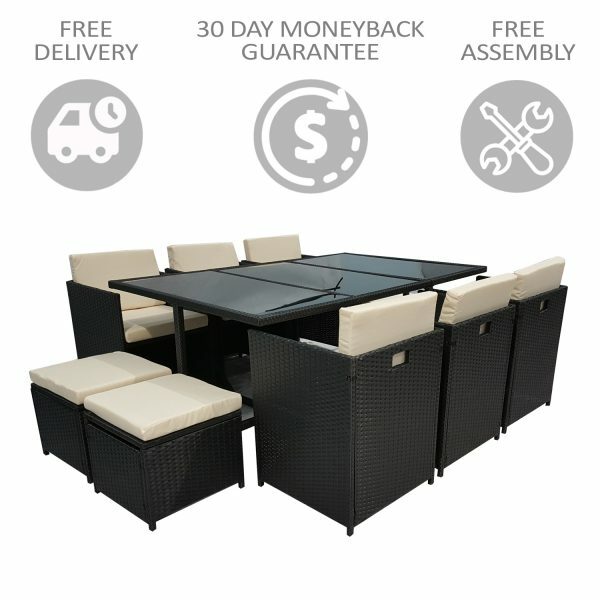 This Dining Table Set suit both your indoor and outdoor living space. You can choose exactly what you want to create that perfect look. 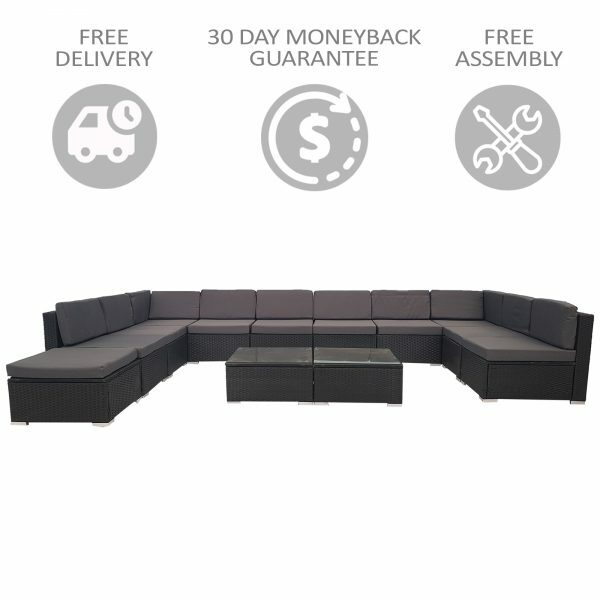 Select option, We'll Assemble furniture for you. 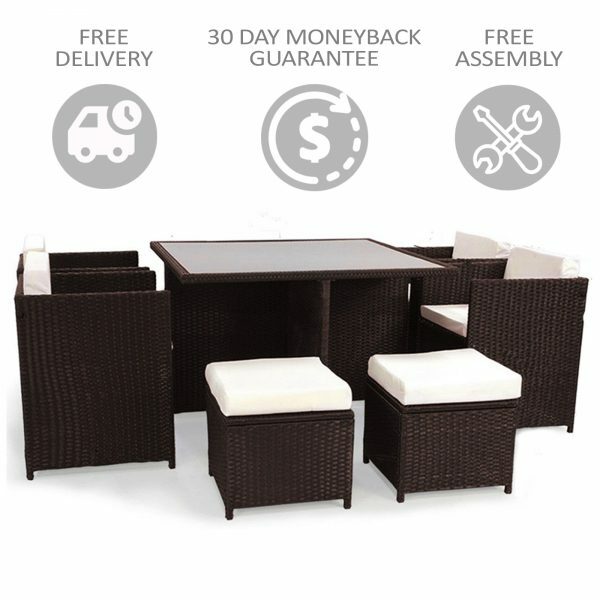 If you love to entertain in style then our outdoor rattan Dining is sure to impress. 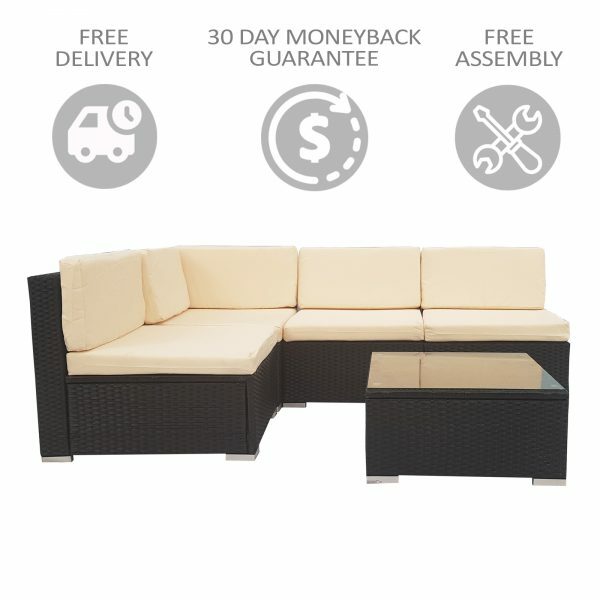 It is an elegant contemporary range to suit both your indoor and outdoor living space. You can choose exactly what you want to create that perfect look. 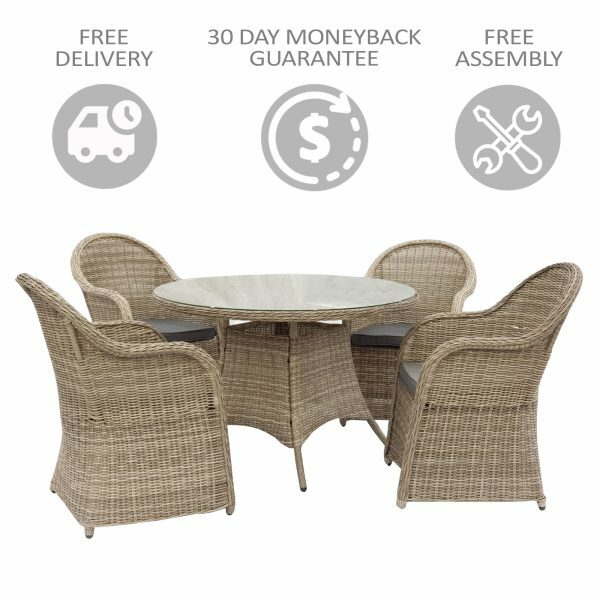 Rattan is durable, long lasting and comes from renewable resources. 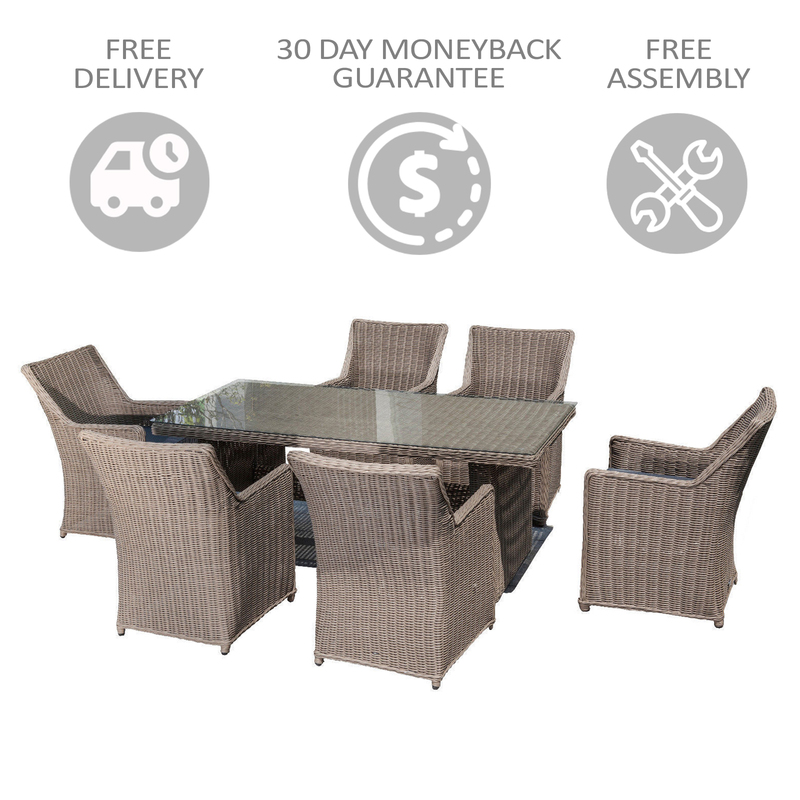 No need for plastic imitations in your home with our outdoor rattan Dining table set with cushions. The color is created by natural processes of the rattan to give a warm and earthy finish. The chair is perfect for any area of your home. Get lost in the comfortable seat and feel at peace in your space. Excellent pure hand weaving technique with popular style. 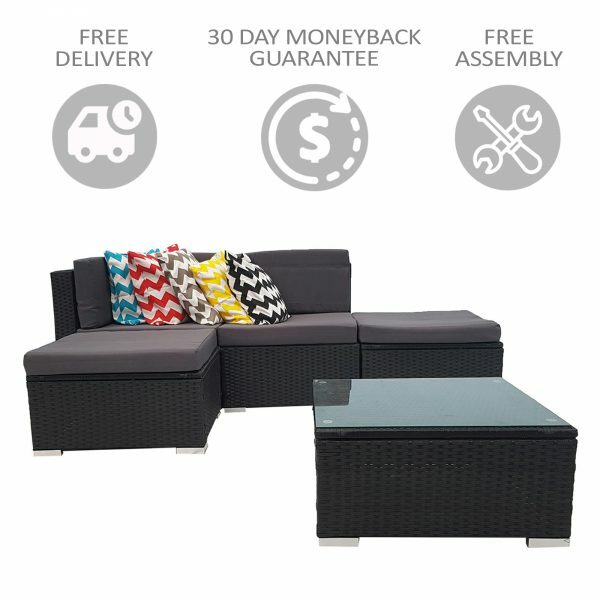 Attractive design and commercial quality, Perfect for casual dining and entertaining indoor or outside. Table Size: W180*D91*H74cm, with 5mm clear glass(safety) on the top. W180*D91*H74cm, with 5mm clear glass(safety) on the top. We accept Paypal, Bank transfer, and Credit Card. All purchases will go through secured checkout to ensure that your order is processed without any problem. We send products through Australia Post and Fastway. We are giving Tracking Postage Free and Express Post is available with extra cost. 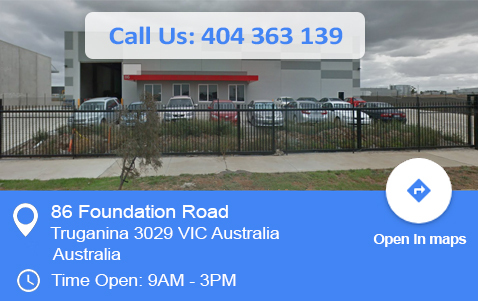 We ship items from 86 Foundation Road Truganina 3029 VIC Australia. It may take up to 4-7 working days to delivery items. After placing order you can contact us within 24hrs to cancel your order. We send products through Australia Post and Fastway. We Ship items within Australia only. We are offering free shipping for just Victoria Aus. Express Post is available with extra cost. 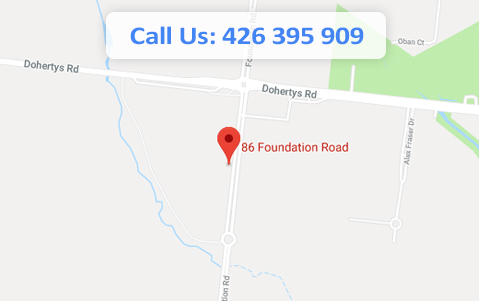 We ship items from 86 Foundation Road Truganina 3029 VIC Australia .It may take up to 4-7 working days to delivery items. You can track your order from here. Customer satisfaction is paramount for us. 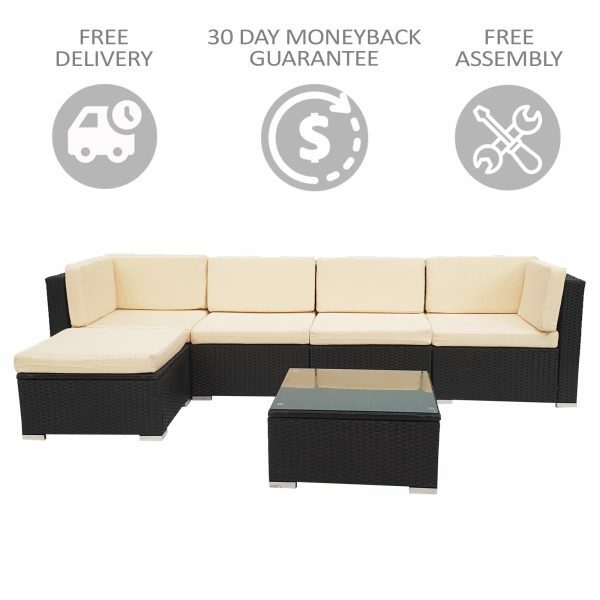 To make sure that our customers love the Victoria Living experience we go out of our way to provide a comprehensive return policy. The 30 day return period will commence from the date you receive the goods you have purchased and applies to any reason, even change of mind. If a refund is requested within this 30 day period, Victoria Living will refund the purchase price of the goods and your account should be credited within 10 working days of the goods arriving back to us and if the goods arrive back to us in the condition they were received. 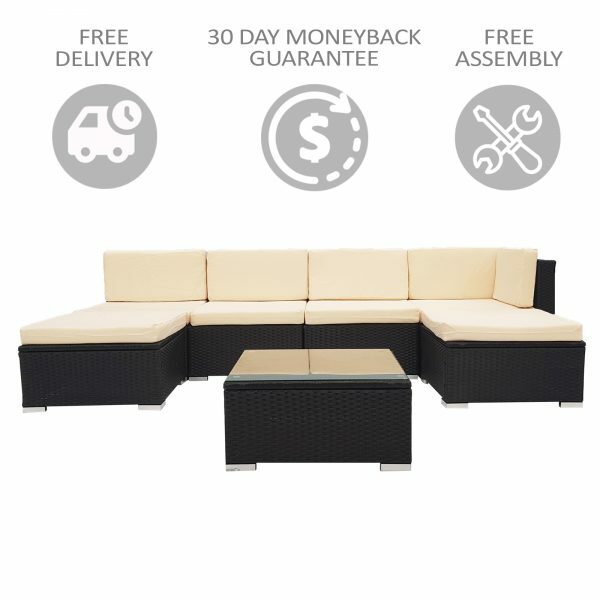 2.We'll replace item for you if item was lost during transit or the item you received has been damaged during delivery.We warranty our products against defects in materials and workmanship for your product. In the return request, we will need to know what exactly is wrong in detail. In your description, ideally, refer to the parts mentioned in the assembly guide. If an item is damaged, please attach images of the damage or the issue(s) in question to assist with a prompt resolution. If applicable, we also need photos of the packaging together with your request. All products come with a 1 Year warranty from the date of purchase. 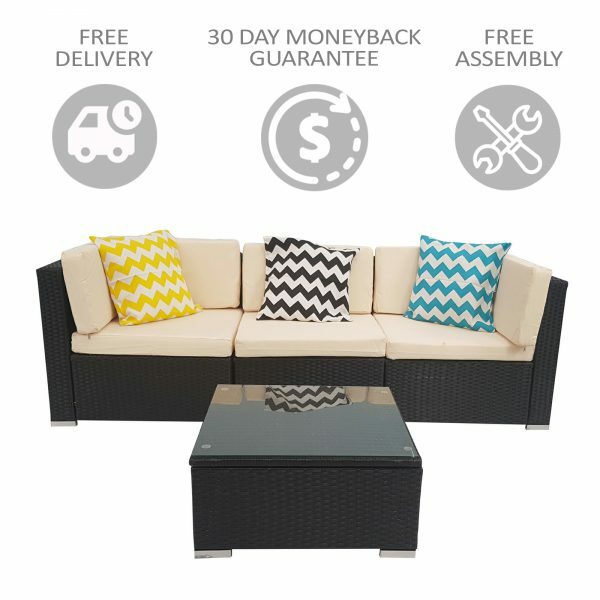 If the product goes faulty within 12 months of purchase we will replace it free of charge as long as you send the item back to us at your own cost. In case we do not have the same item or the equivalent one, we will refund you the original amount that you have paid for the item. 30 Days Money back Guarantee, no question asked. 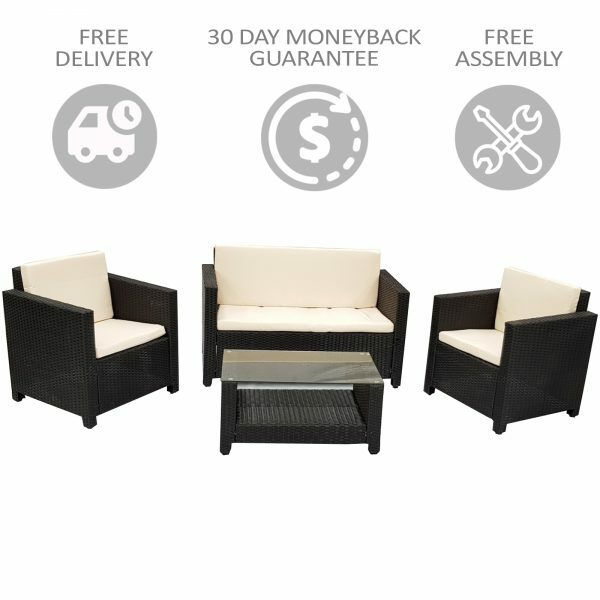 30 days money back Guarantee SUBJECT to that you do not open the Product's seal or Use the item. You would have to post the item back to us on your own cost in the same condition that it was posted to you. Once we do receive the item we will refund you the amount within 10 Days you paid for the item. Victoria Living Based in Australia. The Best Deal You Will Find! Victoria Living 2017 All Rights Reserved.